Rabbi Yosef Mizrachi was born in 1968. He was raised in Israel where he studied until 1986. In 1986, he was drafted to the Israeli Military (IDF) and served in the Air Force. Immediately after his release from military, he immigrated to New York City where he was involved in the Financial banking District. In 1994, Rabbi Mizrachi decided to dedicate his life to the awareness of Judaism among secular Jews. It was in that year that he began coordinating lectures & seminars among Israelis in the New York – New Jersey area. In 1997 he left the financial district and enrolled a full time learning and teaching in a Yeshiva in Monsey, New York. At that time, Rabbi Mizrachi moved from New York City to Monsey in a small, quiet Orthodox-Jewish town in Upstate New York. In 2002, Rabbi Mizrachi, along with Yuval Ovadia, a former HBO director, produced an impressive film called ‘Divine Information’. This successful video was duplicated and distributed to more than 200,000 people. During the day, for years Rabbi Mizrachi was teaching Gemara in Yeshivat Ohr Yisrael in Monsey but today due to the increasing kiruv work that he is involved with ,he dedicate all his time for the public. As of 2011, Rabbi Mizrachi has spoken in over 5000 lectures worldwide as well participated in many weekend seminars, radio shows and other Hebrew and English events in which he enriched the knowledge and awareness of Judaism among thousands of Jews who once were lacking Jewish awareness whatsoever. In 2004 he started a website, Divineinformation.com, that has over 700 lectures of videos and audio that has a following of viewers from more than 50 countries most of whom are located in the United States, Israel, England and Canada. This website, according to Alexa.com, is of the top 1% compared to all the websites which are currently active. Also Rabbi Mizrachi has a strong following on Facebook with over 100,000 registered fans on his pages. The Facebook pages have more than 5,000,000 views per month and growing fast. 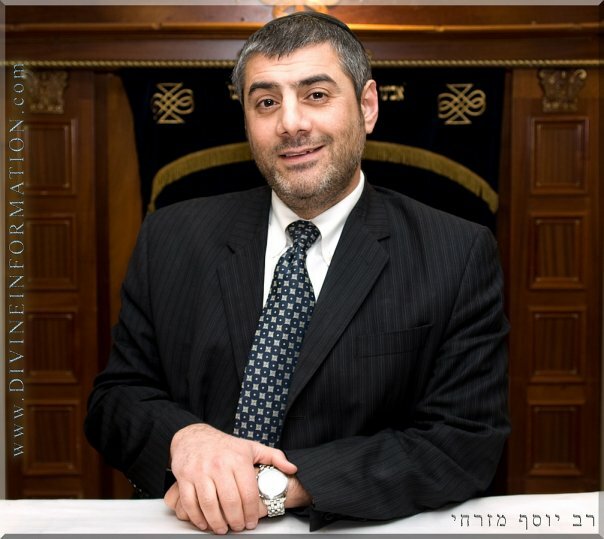 Rabbi Mizrachi was also the first rabbi who started on the very successful website TorahAnytime.com. Every month Rabbi Mizrachi gives out thousands of CD’s and DVD’s with his famous lectures “Torah And Science” , “Life After Life”, “The Debate: Christianity Vs. Judaism” and many more. In 2001 rabbi Mizrachi founded his yeshiva and kolel in Alfandari Street in Jerusalem of excellent top scholars’ that learn Torah all day on the loftiest levels. As of today the rabbi’s kiruv organization has volunteers who know the importance of educating our Jewish brethren. All donations are used for these very holy causes which bring Jewish souls back to Hashem (G-D). Due to increasingly higher expenses, your help is needed now more than ever. Remember, according to the Torah this is the best type of investment you can make because you benefit from every single mitzvah that is kept due to your generous donations.